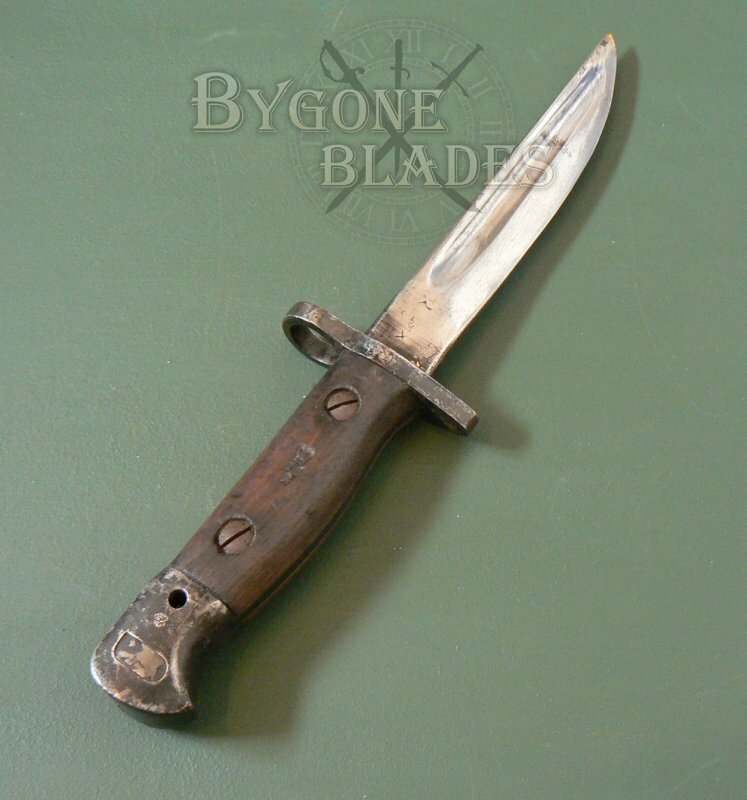 A trench knife is a combat knife designed to kill or gravely incapacitate an enemy soldier at close quarters. 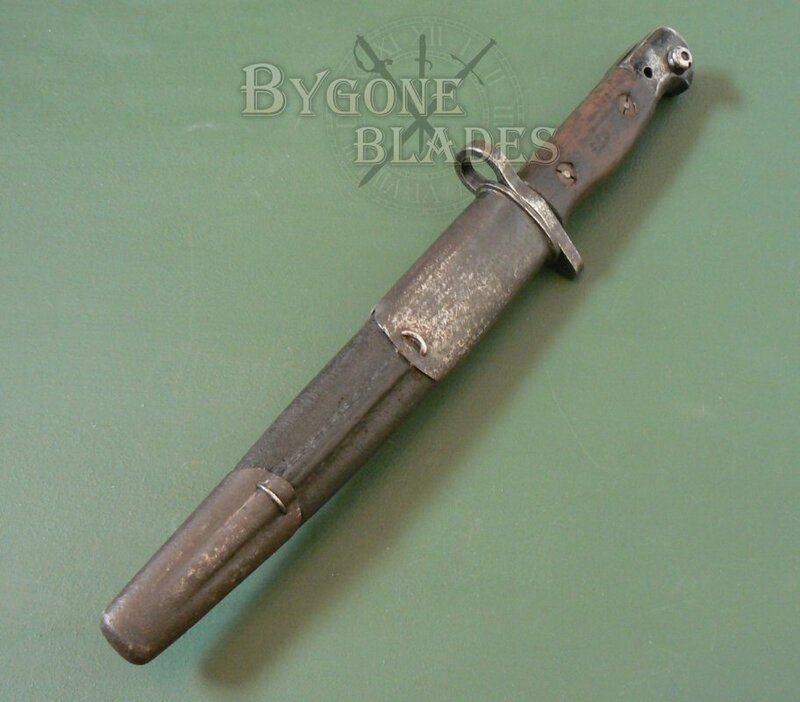 The trench knife was developed in response to a need for a close combat weapon for soldiers conducting assaults and raids on enemy trenches during the First World War. Initially, the British Army did not issue trench knives (they had not developed one) so these weapons were made by the troops themselves from cut down bayonets. 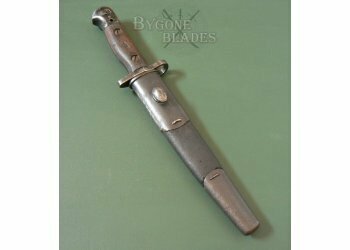 Later, company armourers undertook the task of shortening bayonets for use by the troops. 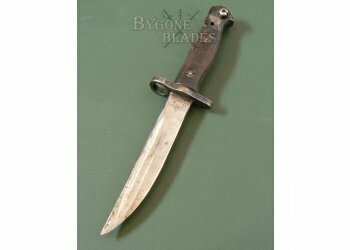 This is a rare and nicely made trench knife fashioned from a Wilkinson P1907 bayonet. 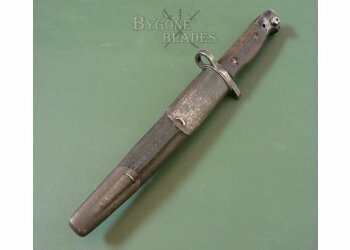 It is likely that this knife was made officially, once the need for such weapons had been firmly established. 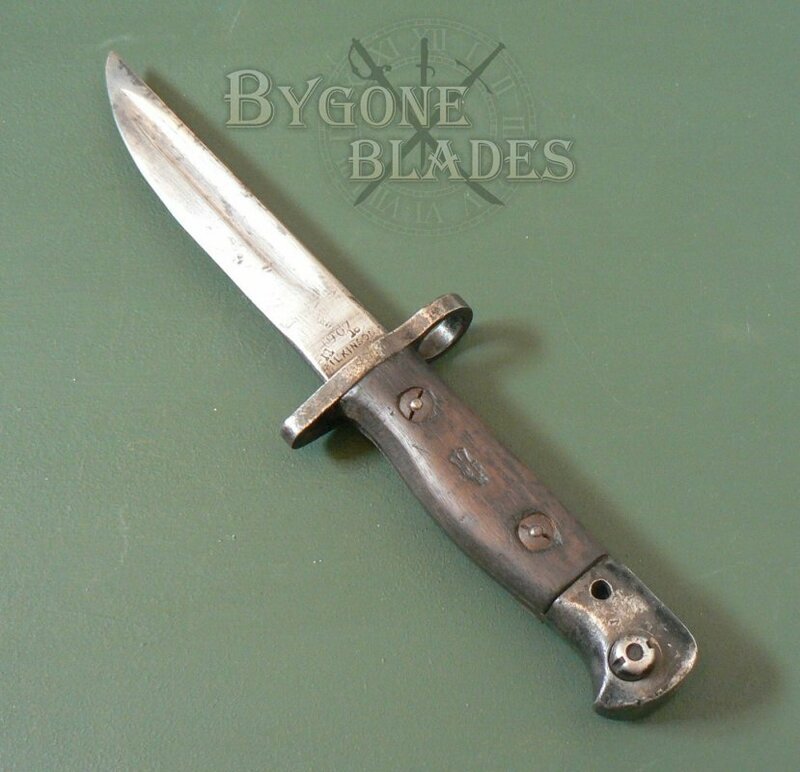 The evidence for this is that the original bayonet was made by Wilkinson and bears the Wilkinson inspection stamp. 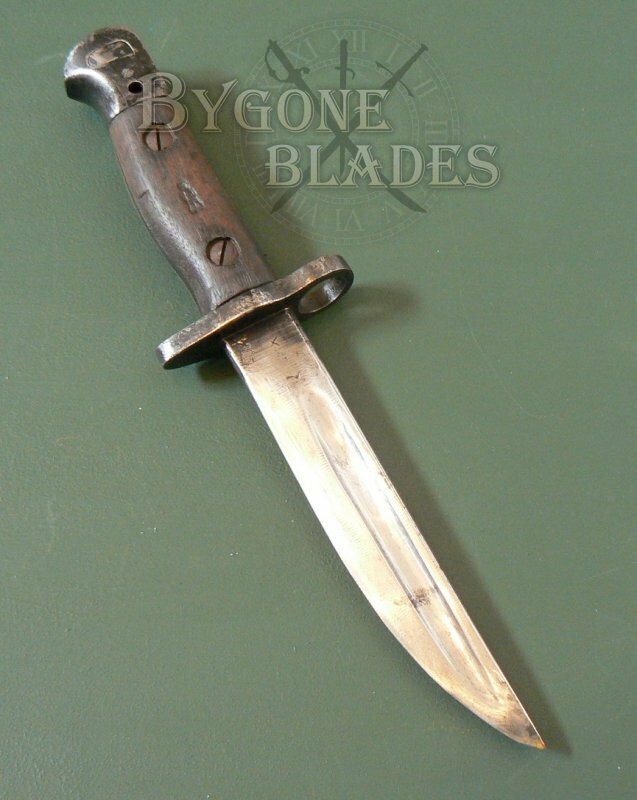 It also bears Enfield marks both on the blade ricasso and on the wooden grip scales, suggesting that the shortening of the blade and scabbard were officially done. 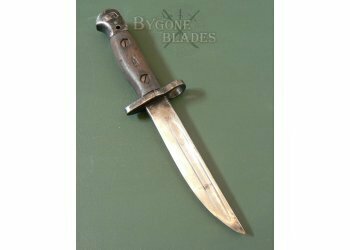 The six-inch blade has a Bowie style point and a sharp single edge. 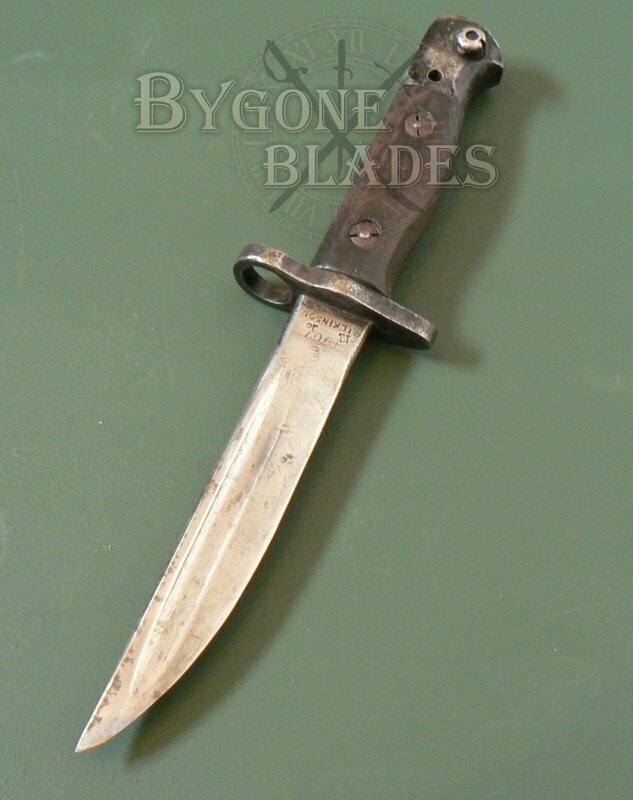 The blade is in good condition with small areas of tarnish. 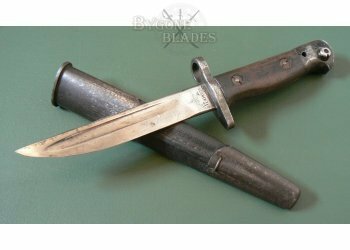 All the usual stamps appear on the ricasso – bend test, War Department arrow, pattern date, manufacture date, makers name and inspection mark as well as the additional Enfield inspection mark as mentioned. 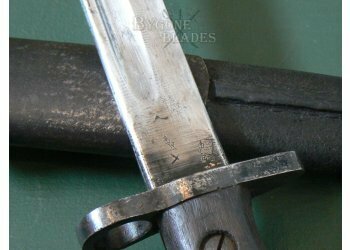 The steel pommel retains most of its original blued finish and is marked on both sides with a capital “N,” denoting naval service. 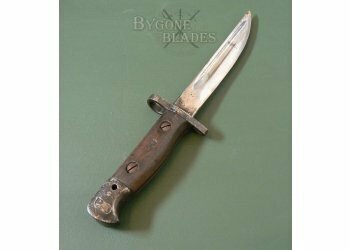 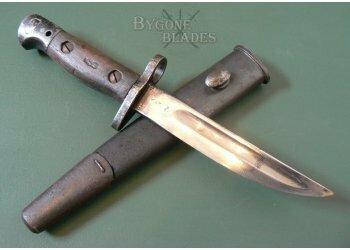 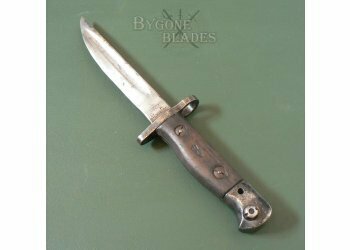 It is likely that the bayonet was originally issued to the Royal Navy prior to being adapted for trench warfare on land although it is possible that the knife was made for naval use too. 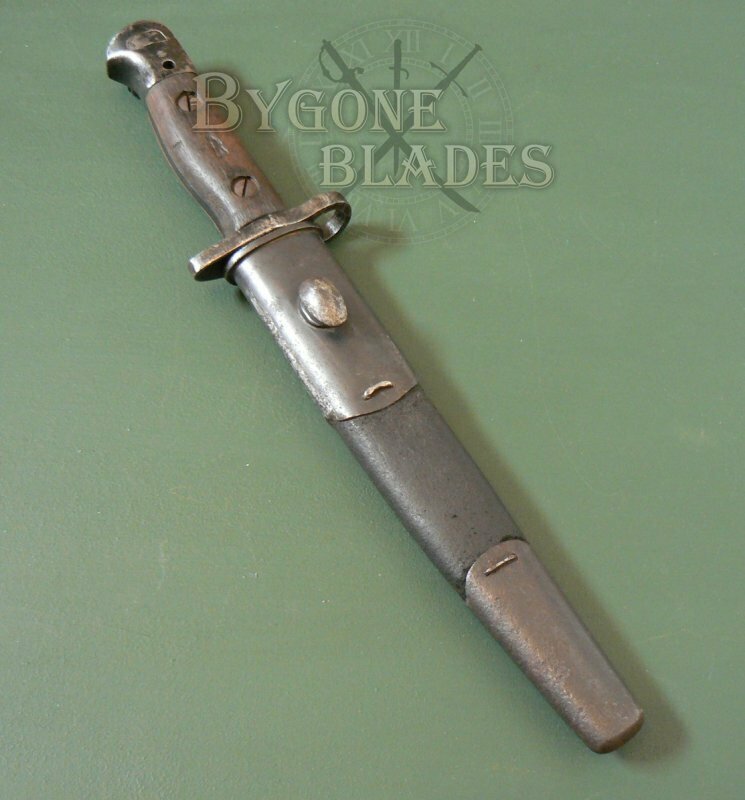 The bayonet’s original scabbard with early teardrop stud was adapted to accommodate the shortened blade. 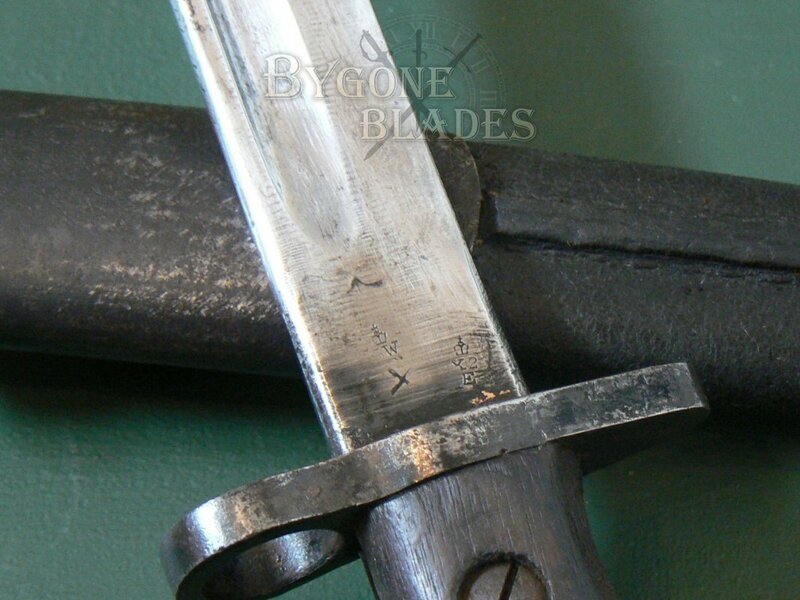 The scabbard is in excellent condition and is strong and tight. 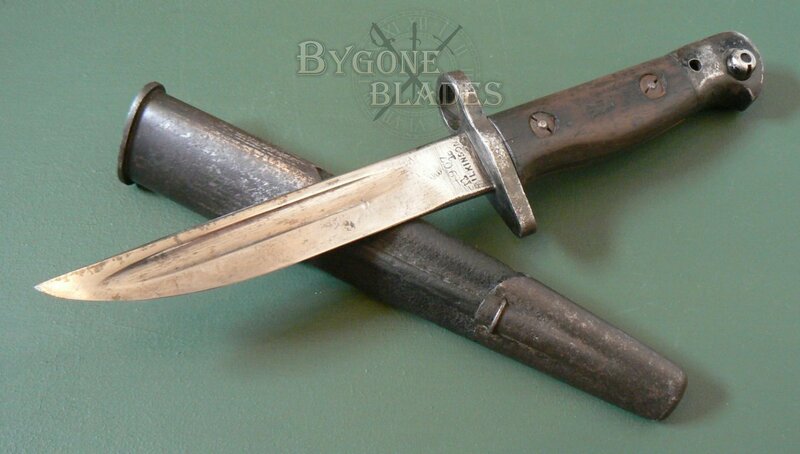 The throat and chape retain most of their original blueing.